It appears 2010 is going to be off to a smashing start just like 2009 appeared to. The Courteeners are back! Manchester’s new favourite sons following in the steps of the Smiths and the recently dearly departed Oasis are about to drop their long awaited second record entitled Falcon 22 February. It’s a good thing too as I haven’t stopped playing the debut, 2008’s St. Jude since I first bought it. With news of the record on the horizon, the first fruits of said record has come early in the form of what could very well be the first single Cross My Heart And Hope To Fly. A song darker in tone than what we heard previously but showcases a greater depth. Bigger drums and the use of strings certainly prove to be the highlight of the song along with Liam’s strong vocals. Fall in love with the Courteeners all over again just like I did. Listen to your heart’s content. don’t look now…here come the bunnymen! Look. This band needs no introduction. The band were a perfect blend of the Doors, Bowie and the last vestiges of punk. A lead singer who not only was cool but personified the word and gave it a new meaning and thus offering a blueprint for future frontmen to adopt and follow. A guitarist who knew very few rivals, if any. Add in one of the more underrated rhythm sections of the day and you get Echo and the Bunnymen. 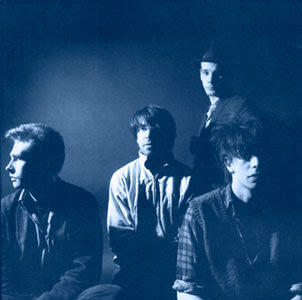 Beginning with the epic debut single Rescue to era-defining hits like The Cutter, The Back Of Love & Lips Like Sugar, the Bunnymen were always a band to be reckoned with. In fact, I’ve always been of the opinion that if it wasn’t for the more important and challenging bands such as Echo, the Smiths, the Sound, etc falling by the wayside in 1987, U2 never would have become the one-eyed monster they were to become. Echo were simply that good. The band are back now with a new single called Think I Need It Too. It’s a slow burner but it’s a good one. It features the signature Will Seargeant guitar sound as it carries Ian McCulloch’s smoke-drenched vocals. It must be said that in his prime that very few could wail like Mac and the smokes over time have done quite a number to his vocals. That minor complaint aside, the single is the lead track taken from the brand new record The Fountain due out next week. Play it once, play it the rest of the day and groove. This is the sound of cool. Noel Gallagher, it appears dropped the bomb earlier today by walking out on Oasis. Needless to say that without Noel, there really is no Oasis. Sorry, Liam, I love ya but let’s be honest… Noel is and always has been the creative sparkplug of the band. As a fan since Supersonic, it’s my hope that cooler heads prevail and the brothers Gallagher get back to writing quality tunes real soon. a lesson in stealth. by radiohead. Here’s a question for you. 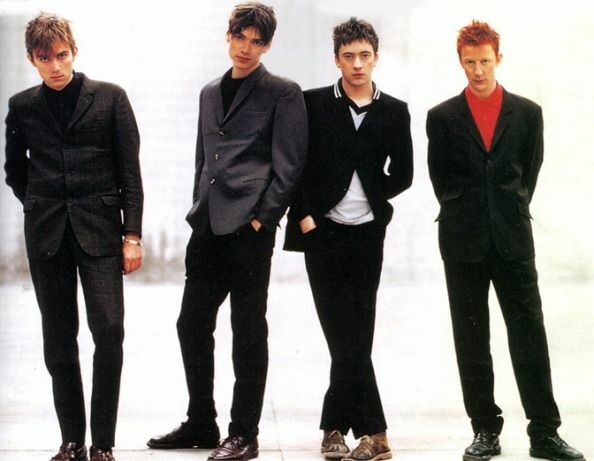 When you’re the best band of your generation and feeling the constant nibbles at your ankles from the likes of lesser beings such as Muse or Coldplay that get ever closer to breaking skin with every bite, what do you do? What do you do when you set the recording industry on its ear (again) with In Rainbows and still the cries of “Overrated!” and “Sellouts!” begin to gnaw at every fibre of your collective being? Well, to borrow a sentiment from the Jam, one can simply say to hell with all of you and start going underground. The sneaky little buggers that are Radiohead who appear ready to eschew the traditional route of releasing proper physical record and singles altogether have had the unfortunate circumstance occur in a new song being “leaked” to the general public. It’s a track called These Are My Twisted Words and thus far the reactions from fans, nazel-gazers and chin-strokers alie have been mixed thus far. To me personally, I like it. It’s dark. It’s a bit on the sparse side but allows the song to be carried by the most underrated drummer in music today in Phil Selway. What sounds like could be a simple jam session that got lucky on tape still works. Thom doesn’t say much here but is usually the case. He doesn’t need to but the sounds of caged ghosts trying to escape purgatory that emanate from his throat do the job that the lyrics begin. Rumour has it that Words will appear on an EP that teh lads will drop this coming week entitled Walls Of Ice. Oh goodie!! Whatever you may think of the track, I think we can all agree that it’s good to see the kings are on their way back. Remember Postcard Records? How about Kitchenware? If not, ask your older and much cooler brother. Postcard and Kitchenware were two of the finest indie labels going in the late seventies and early eighties. Neither label gained much traction in terms of notoriety as compared to labels like Rough Trade, Mute, or Factory but if you were looking for top notch post-punk of the mellow variety aka “twee”, these two labels could not be beat. From bands like Prefab Sprout to Orance Juice to Josef K, it’s sae to say you would have to look pretty hard to find a subpar band on either label. Sadly, many of these bands didn’t reach the great heights of chart stardom and mainstream fame. It’s a shame, really. It’s the same old refrain where the greater public just wants something to ignore and put on the backburner while they meander through their daily lives instead of allowing the likes of Paddy McAloon to serenade through another wistful day. Like ’em? Tell them on MySpace. Tell them Billy sent you, they’d like that! all hail the ruling class! Oh it’s so tempting… So very tempting. It’s always exciting to jump into hyperbole when describing a band who is simply teeming with potential. Like a shot from a cannon, a comet that passes by in the blink of an eye or any cliche that seems appropos, a brand new band’s first stab in the dark always brings such promise. Suede-heads, I bring you The Ruling Class! This UK quintet is on to something here and I want you guys to hear what I hear! Bringing back the sound of Madchester and invoking the spirit and fervour of the seminal legends in the Stone Roses, The Ruling Class strike with the confidence and bombast of bands much older. The band makes their debut on this site with their second offering to the world comes in the form of a double A-side single (these are still around…?) entitled Sleeping Beauty/Marian Shrine. Led by vocalist Jonathan Sutcliffe who one could hardly be faulted for hearing a resemblance to the great British warbler in Ian Brown, the Ruling Class have arrived to let the world know while the 80s are cool and all, the early 1990s Britpop era is right around the corner and have no shame in kicking the doors down and inviting themselves in. Enjoy them and keep your eyes on this band and better yet, add them on MySpace. One of the greatest British bands ever. Bar none. Without question. One word. Blur. I could go list the top songs the quartet bestowed upon us over the years. She’s So High, For Tomorrow, Popscene, Girls & Boys, This Is A Low, Stereotypes, Entertain Me, Death Of A Party, No Distance Left To Run, etc… Like I said, I could go on and on… Thankfully, the prodigal guitar hero, Graham Coxon came to his senses and returned to the fold allowing Blur to come back perhaps better than ever. They’ll be playing the major festivals this year with rumours of some US dates coming down the pipeline. That…would make for a happy Billy indeed! Naturally when you put together a band that’s been away from the world for a spell with a vast catalogue that’s ripe for the picking along with the prospects of performing for huge audiences for a tour…we get a brand new compilation! Midlife: a Beginner’s Guide To Blur is due for release in the UK on the 15th of June and culls together singles, album cuts and tracks that previously could only be found on limited editions (Popscene!) or soundtracks (Sing). Is it an obvious cash grab by EMI? Obviously. Is it a good idea? Yes, especially since it’s not an ordinary comp. It will serve as a wonderful primer for those not in the know or those silly Americans who think Song 2 is actually any good. Silly wabbits!